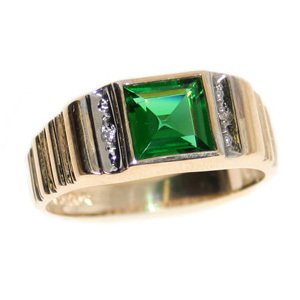 This men's ring features a 8x8mm square synthetic emerald. Two diamond accents, 1/2 pt each. Polished 10k yellow gold. Open back, made in the USA.